Drake Exteriors, a preferred roofing and General Contractor service provider, has announced their accreditation with the Greenville, South Carolina Better Business Bureau. Drake Exteriors has been serving South Carolina homeowners and commercial business owners for years with countless happy customers. This month, Drake Exteriors LLC, a prominent roofing contractor in the Atlanta GA area since 2009, is pleased to announce their accreditation with the the Greenville/ Upstate South Carolina Better Business Bureau. Drake Exteriors offers multiple General Contractor services to both residential homeowners and commercial customers including roof storm damage repair, water damage, roofing services, new construction, remodeling and additions, water damage repair (both interior and exterior), hail damage repair, as well as siding and gutter repair. 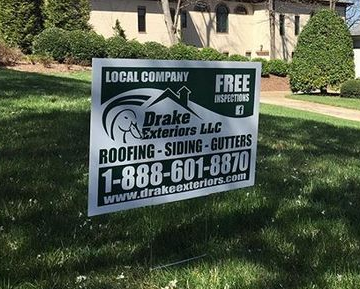 Travis Turner, owner of Drake Exteriors says, “The entire Drake Exteriors team is thrilled to join as a roofing repair/ General Contractor services provider and be accredited by the Better Business Bureau of Greenville, South Carolina. It’s important for South Carolina home owners to KNOW they can trust the services Drake Exteriors provides for them. We’ve been helping homeowners and business owners in the upstate South Carolina area for years now and have countless happy customers that have given us very positive feedback and reviews “. Drake Exteriors has been featured as one of the few trusted roofing contractors serving storm victims in South Carolina in a June news article on The State after the company provided emergency roof repair services to South Carolina storm-affected residents. Drake Exteriors is an Insurance Claims Specialist and does all dealings with insurance companies for home owners in the case of storm damage, hail damage, and other insurance claims. Most Drake Exteriors customers are thrilled to have that extra perk so they don’t have to deal with insurance red tape on their own. Turner continues by saying, “Too many home owners are taken advantage of by fly-by-night workers claiming to be insured, licensed, and credible – when they’re not. We feel that in addition to our exceptional track record serving South Carolina, that it is important to re-enforce our credibility by joining the BBB. The people of South Carolina are worth the extra step to Drake Exteriors. Our motto is ‘Where Quality and Integrity Meet’ and we work hard to prove that everyday”. Drake Exteriors currently is accredited and has an A+ rating with the Atlanta Better Business Bureau and will be proud to provide the same security and confidence when hiring Drake Exteriors to Greenville South Carolina consumers. With a combined 55 years of experience, Drake Exteriors is also proud to be a preferred installer for CertainTeed, North America’s leading brand of sustainable building products such as roofing shingles. To find Drake Exteriors on the CertainTeed website, just click “Find a Pro” at the top of the page. For more information, feel free to visit DrakeExteriors.com and use the “Contact Us” button with any questions.